Enlist those who participate as promoters of the solution among their personal and professional networks. The author teaching design research in Phnom Penh with the USAID Cambodia Development Innovations project. With those benefits in mind, CDA developed the Frontier Insights (FI) methodology to help us build our understanding and engagement of the marginalized populations in the places we work, be they age/gender-defined, hyper-local, or both. FI is a type of ethnographic design research that borrows from traditional qualitative and quantitative research approaches. For CDA, FI is one of the most important research tools in our toolbox because we often work with populations we aren’t already familiar with who live in rural areas far from communications infrastructure. The information and communications profile of communities changes from one week to the next as mobile network operators build out their cell towers networks and capture new customers with deals on data and budget smartphones. Among “qualies,” this type of research is also called formative user research; “formative” for how it gives shape to a broader design process, as opposed to “evaluative,” which looks back on previous work (more on this distinction from Nielsen Norman Group). 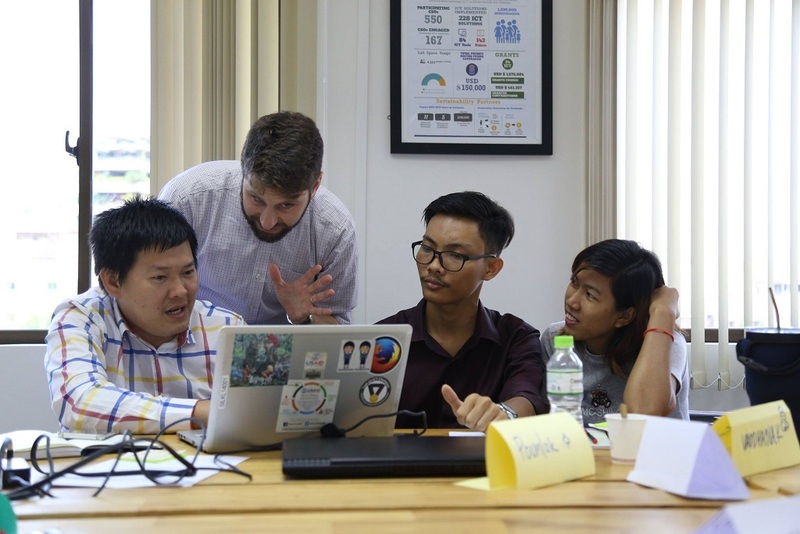 I was lucky to have the opportunity to teach formative user research to a group of Cambodian innovators this past September in Phnom Penh with the Development Innovations project, which works with local entrepreneurs and civil society to build a culture of innovation, particularly among young Cambodians (check out their local partner EnergyLab’s new Clean Energy Pre-Incubation Program). 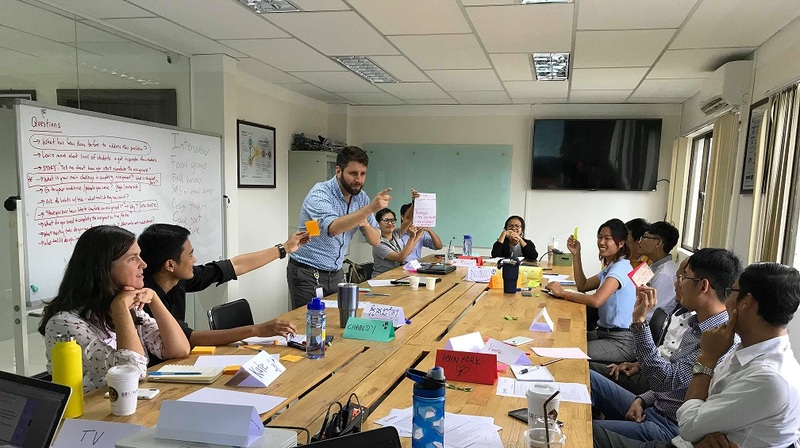 From the perspective of an entrepreneur or civil society advocate in Cambodia, formative user research has a slightly different focus. Since the subjects of their research—other Cambodians—are all around them, their task is to find a way to challenge their assumptions about the world to generate new insights and approaches to solving age-old social, economic, and political challenges. Teaching design research in Cambodia. Think through who you need to talk to, how you can access that population, and whether it’s better for you to carry out your interviews in the street or whether you’ll need a local partner to convene people for you. Either approach makes sense depending on the circumstances and expectations. This also ties back to the sampling method; since we do design-oriented research we aren’t as worried about statistical significance (we’ll be re-validating our problem definition and solution throughout the entire process) but we do want a sample that includes diversity in the form of a broad swathe of ages, an even gender split, and people from different corners of the geographic area to increase the likelihood that our data are representative. Informed consent is how we ensure that participants understand who we are, what we’re doing, why we’re doing it, and how our research will inform the design of a program meant to benefit them. It’s important that people have this information before they decide whether to participate in our research. If after learning what we’re doing, someone decides against participating, we say “thank you very much” and find someone else. 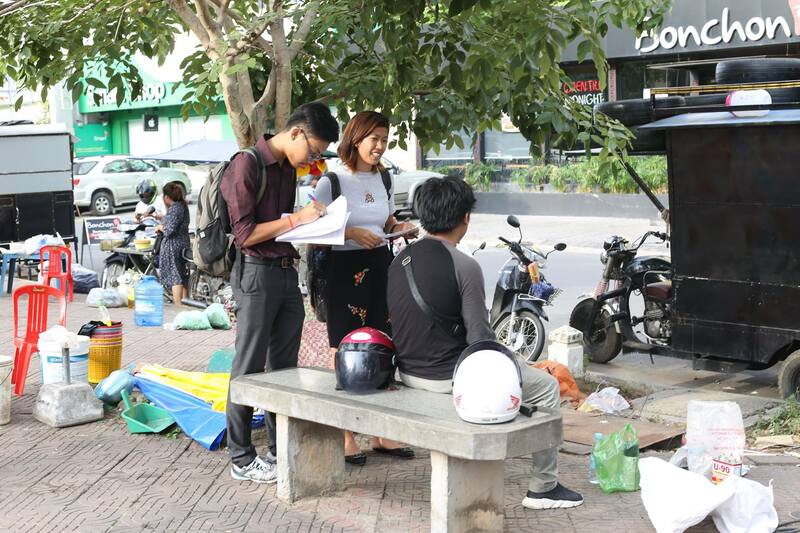 I often see new researchers conducting street interviews as onlookers gather around and listen in. It’s totally natural that people would be interested in learning why a stranger is asking questions in their community, but having an audience for an interview increases the likelihood that the participant will filter their responses under the weight of others’ presence. A social filter can be useful, but when we want a social filter we do focus groups. When we’re conducting formative user research, we want responses that represent the truths of the individuals we interview. That’s why I always tell enumerators to find a private space to conduct the discussion, and if others listen in, politely ask for privacy or go somewhere else to finish the discussion. Participants in the USAID Development Innovations user research course practice their skills with a test participant. It’s incredibly important to build rapport with the subject of the interview so he or she feels comfortable sharing information that might be personal with someone they don’t know well. How does this work? First of all, I make eye contact and try to spend as little time as possible looking at my data entry sheet. I position my body parallel to the participant so they can see the response sheet and what I write down. After I ask a question, I don’t offer answers (unless it’s a multiple-choice question) so the participant can respond in his or her own words. We generally record on paper, which we find better for qualitative, open-answer questions than trying to type long responses quickly into a phone or tablet. Working with paper does create some additional risks though, in particular, the fact that it can get lost, spilled on, or otherwise destroyed, so we encourage our enumerators to enter their paper data into our database as quickly as possible after data collection finishes; preferably at the end of each day. This way we ensure that the data we’ve worked so hard to collect is safe, secure, and ready for cleaning and analysis.